A host of stars from the southern film industry are gearing up to enthrall the audiences at SIIMA Awards event this year. SIIMA management has spent a bomb this year just like every other year to rope in some of the biggest stars of south film fraternity to attend the two-day mega awards event.Going by the latest reports, the organizers of SIIMA Awards have done the remarkable thing by roping in mega star Chiranjeevi to grace the event this year. Reports further added that Chiranjeevi has been paid a mammoth amount to perform live on stage for the first time at an awards function. 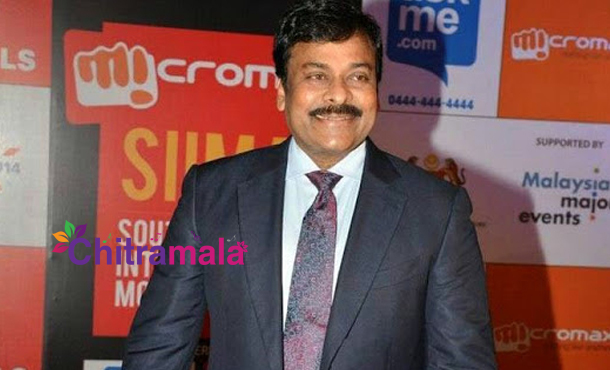 Sources from SIIMA Awards function revealed that Chiranjeevi’s 150th project will be promoted during this function. The presence of the mega star is expected to raise the craze for this award function to be held at this June end.